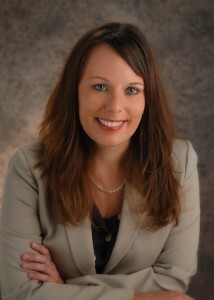 BSE attorney Erin Wiseman has been elected President of the Jefferson City Jaycees. Her term as President will begin at the Installation Banquet on January 2, 2015. The Jaycees mission is to provide the young people of the community a chance to enrich their lives with leadership training through community service and project planning. Special projects that the Jaycees put on for the community each year include the Jefferson City Jaycees Cole County Fair, Jefferson City Jaycees Christmas Parade, and Trunk or Treat at the Jefferson City Jaycees Fairgrounds. The Jefferson City Jaycees champion many charities, but specifically donate to Wonderland Camp which was co-founded by the Missouri National Guard and the Missouri Jaycees. Erin Wiseman has a general civil practice that includes Bankruptcy, Family Law, Criminal Law, Municipality Representation and Business Law. Erin handles matters in the Western District Bankruptcy Court of Missouri representing both creditors and debtors in various matters in bankruptcy. Erin also handles matters in various Circuit Courts throughout Missouri, practicing Divorce, Paternity, Child Custody, Child Support, Modifications, Traffic matters, Criminal matters, property and general business Litigation. Erin is a member of Zonta, Rotary, Jefferson City Chamber of Commerce Young Professional (hYPe), Jefferson City Jaycees, Jefferson City Eagles Auxiliary, Cole County Bar Association, Missouri Bar and American Bar Association. Erin is an alumni of the Inns of Court.